Feather pulling is a common behavioral problem among captive pet birds and can be brought on by a number of factors. Some common causes of feather plucking in parrots include incorrect diet, allergies, parasites, boredom, loneliness, stress and anxiety. While there are potions on the market, such as Bitter Beak, that have an unpleasant taste and discourage a bird from self-mutilating, and physical restraints such as collars and feather protectors that prevent a bird from pulling out its feathers, these only offer a temporary solution and are useful while getting to the root of the problem. In order to treat the symptom (feather pulling) one needs to ultimately treat the cause. For a pet owner to do this, he or she will first need to determine the underlying cause of the problem. Does this behavior stem from a physiological or health issue, such as malnutrition, allergies or external parasites? Or is it a result of a psychological issue such as boredom or loneliness? Natural remedies are becoming an increasingly popular method for treating this condition. 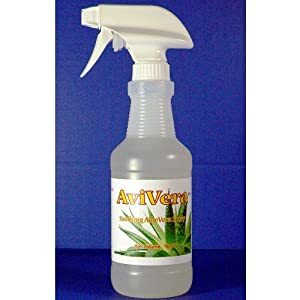 Herbal extracts such as aloe vera are used in treatments such as AviVera Aloe Spray , which moisturizes and conditions the bird’s skin, providing a soothing affect to the skin and thus especially useful for treating birds that show signs of skin irritation and allergy related discomfort. Other homeopathic remedies include Bach Flower Essences, which are reported to have a calming effect on birds and are thus useful for treating birds suffering from stress induced feather plucking. Passion Flower, Kava Kava, and St John’s Wort all have a sedative and tranquilizing effect and are used extensively in the natural treatment of feather plucking. Grapefruit Seed Extract (GSE), is a potent extract that has antimicrobial, antibiotic, and anti-parasitic properties, useful for treating feather plucking related to skin infections and parasites. Natural powdered supplements, such as AviTech Featheriffic , offer a natural dietary supplement packed with the necessary proteins, minerals and vitamins essential for maintaining healthy plumage. Natural supplements administered together with a healthy balanced diet will improve feather condition and reduce feather pulling in parrots where dietary deficiencies are the cause. 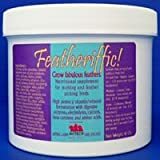 These supplements will also assist with feather regrowth following plucking from other causes. Feed your parrot a healthy, balanced diet to ensure healthy feather development. Ensure that your parrot is housed in a healthy environment, free from toxic fumes such as tobacco smoke, and aerosol sprays. 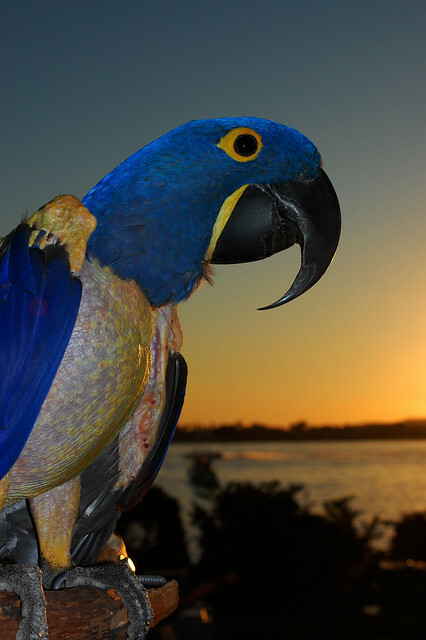 Ensure that the environmental conditions such as humidity, sunlight and room temperature where your bird is housed meet your parrots requirements for optimal health. Make sure that your bird gets at least eight hours of undisturbed sleep every night. Ensure that your parrot is kept stimulated by providing lots of toys to reduce boredom. Allow your parrot out of cage time for social interaction. If you have to leave you bird alone for long periods of time, ensure that you leave a radio or TV on, or consider getting him an avian companion to interact with in your absence. To alleviate feather pulling behavior in birds, it is essential to tackle the root of the feather plucking problem, rather than just treating the symptoms. By doing this you will solve the problem in the long term rather than just the short term. Various natural remedies can help you achieve this goal, but very often it requires nothing more than making a few adjustments to your parrots living conditions, or changing your birds diet by offering a healthy alternative to a staple diet of sunflower seeds. Sexing Parrots & Parakeets: How Do You Tell if a Budgie is Male or Female?